Last month Wondaboy gave us ‘Wajo’, which didn't exactly tickle my fancy. But his follow up track ‘Killin' It’ takes a different toll on us. 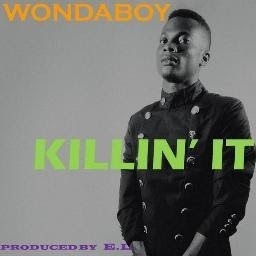 ‘Killin' It’ was recorded and produced in Ghana at the studio of Ghanaian artist and producer E.L. The song has an infectious beat and catchy hook to it and is bound to get your feet moving once you hear it.